This is the seasonal exclusive Valentines Japanese Candy Box! Inside you’ll find an assortment of the cutest and tastiest Japanese Valentines and seasonal candy. 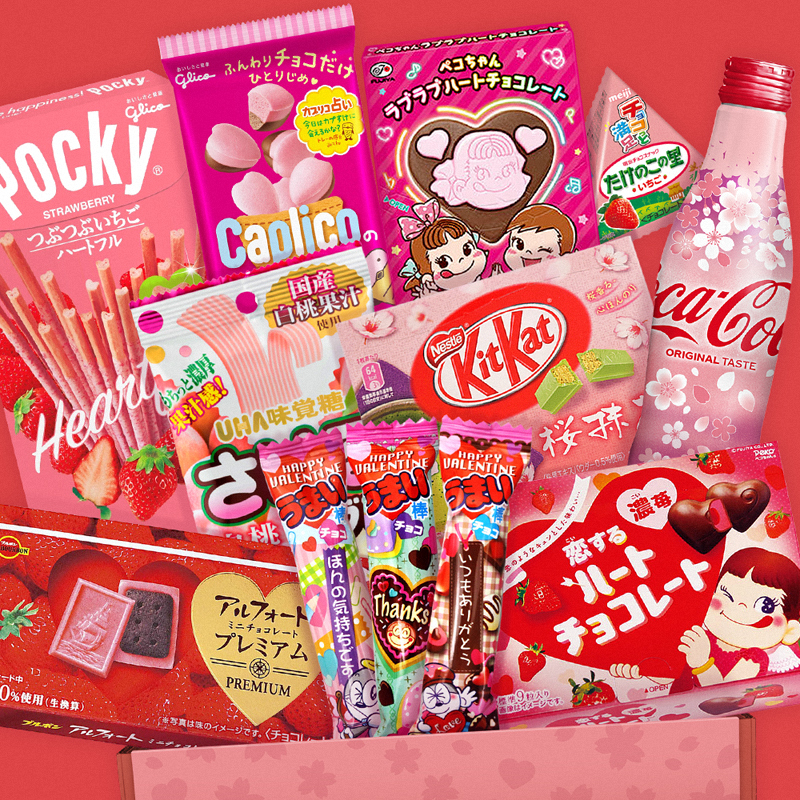 Each candy box will be jam-packed with special edition Valentines Umaibo, Heart shaped Pocky and Peko Chan chocolates as well as Cherry Blossom Edition Coca Cola, Kit Kat and many other delicious treats. Following the popularity of last years Halloween and Christmas Candy Boxes, we expect the Valentines box to sell out just as fast, so don’t miss the chance to pre-order yours! There’s 18 different items (varying in size) in your Sakura Valentines Japanese Candy Box which will weigh around 1KG. Each box will measure 31cm x 18cm x 7cm and you can find a full list of the items included below. Your Valentines Candy Box will be dispatched immediately which gives you plenty of time to receive it before Valentine’s Day but customers outside the UK should hurry. This product will be dispatched from the UK, we cannot guarantee delivery before Valentine’s Day on orders outside of Europe.